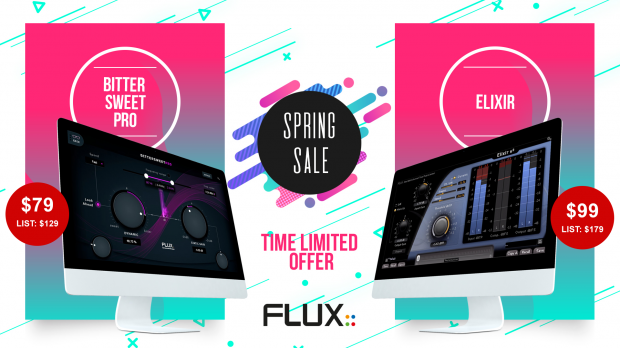 Our friends at FLUX:: are celebrating the arrival of Spring with promos on two of their leading products, BitterSweet Pro and Elixir. A great opportunity to save 40% off these two fabulous mixing tools. This entry was posted in DontCrack, Plug-ins, Promotions and tagged Bittersweet Pro, Broadcast, EBU R128, Elixir, Flux, FLUX Spring Sale, ITU-R.BS 1770, Mastering, Multichannel, Post Production, program limiter, Surround mixing, transient processor. Bookmark the permalink.